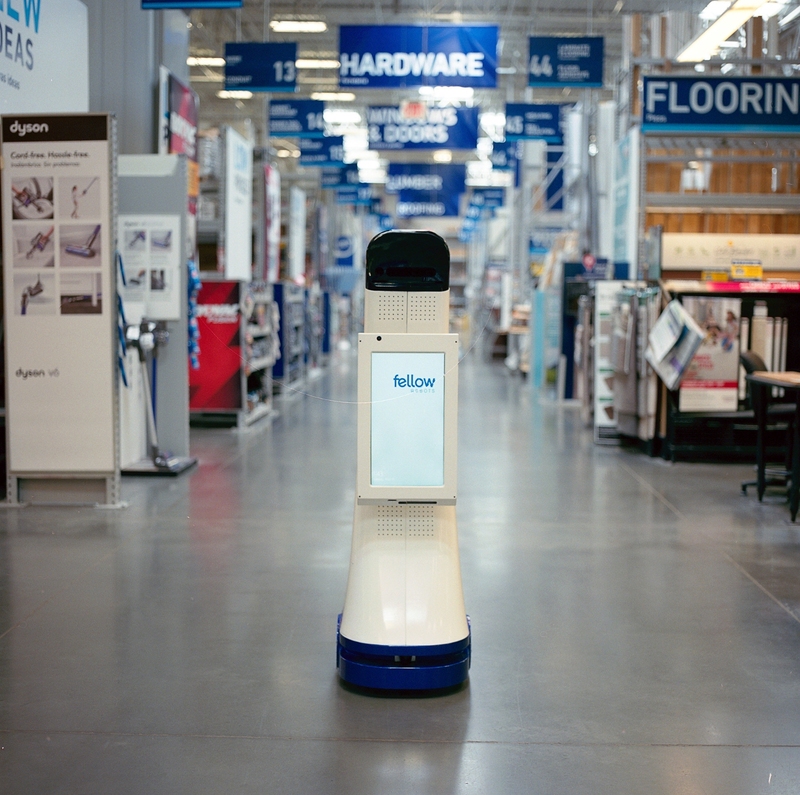 Last week Lowe’s announced the upcoming availability of a new in-store robot it has been testing for the past two years. The LoweBot specifically addresses two key areas of helping customers find things and keeping track of inventory, and will provide us a rich view into the mix of retail and IoT. On the consumer side, a friendly automated helper is far more hospitable than the challenge of finding a staff member. And on the inventory tracking side, the LoweBot, if successful for Lowe’s, could provide a giant leap forward to a real-time supply chain. The retail industry is both big and fast. Big to the tune of $3.2 trillion in 2015 according to the National Retail Foundation and fast in that inventory needs to move or face a descending discount ladder of lost profits. To drive efficiency, retailers are likely to reach nearly $200 billion on enterprise IT spending for the worldwide retail market in 2016, according to Gartner. While the personal home robot has a long way to go before evolving past the Roomba, commercial robotics applications are an entirely different story. In a controlled and highly monitored environment, robots can go a long way. 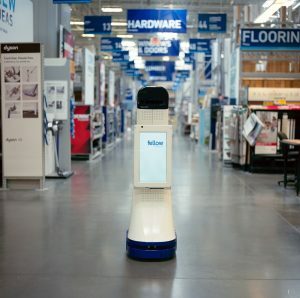 Lowe’s partnered with Fellow Robots and spent two years running a pilot in one of the company’s Orchard Supply Hardware Stores, a San Francisco bay area chain Lowe’s acquired in 2013. While many stores are pursuing mobile applications, the future of retail will be less about pulling out your phone and more about experiencing a choice of ambient and face forward technology. For example, a greeter robot at Lowe’s should be able to recognize me, use natural language processing to direct me to my desired item and tell me in advance whether it is on the shelf in stock. More sophisticated applications could suggest a gift or an item on sale that fits with prior purchases. The retail robot is just the visible part of a broader technology advance. With connected robots able to capture real-time inventory throughout the store and serve as a coordinated front line to field customer inquiries, a company like Lowe’s can dramatically revamp its supply chain. Retailers need to move urgently from talking about growing consumer expectations for shopping options and returns toward implementing the processes and technologies required to meet consumer demands. With real-time data streaming in from a network of in-store robots, Lowe’s is in a unique position to manage its business more efficiently. It can continue to hone supply chain operations, identify trends in consumer behavior, better understand the interaction that takes place within its stores and on most fronts provide a better shopping experience. When digging into more detail on the Fellow Robots product page, one finds features of the product including inventory scanning and auditing, along with integration with ERP software. While these are high-level points, they indicate a future of data capture and application development that will help retailers understand their customers and adapt to their needs. For years, the drumbeat in retail has been about multi-channel marketing … that the consumer is expecting a seamless and connected experience across online and offline avenues. The LoweBot has the potential to carry that to personalized precision. If I’m able or willing to identify myself, the LoweBot can have my entire Lowe’s history, and if I visit one store, or several in my home area, each LoweBot will have a perfect picture. However, I suspect this LoweBot experiment, if successful, will have a far greater impact on the the future of IoT and retail.